“I’m trapped!” This is the cry of women everywhere who feel caught up in the busyness of life, the routine, going to work and school, helping others, supporting their families, volunteering—basically being everything to everyone. In the midst of doing good, we’ve become trapped within our own minds believing the lies that our lives are ordinary and without purpose. We resign ourselves to sitting on the sidelines of life watching others live the extraordinary. Overshadowed by the seeming brilliance of others, our self worth and value seem to vanish into thin air. But Jesus told us all to "Go into all the world and preach the gospel to all creation” (Mark 16:15). He calls us to go, not just watch. He created each one of us for a purpose and on purpose, so we better get going! Based on six core principles, Becoming will compel you to rediscover your “Go”—and continue to become who God created you to be while regaining your sense of identity through spiritual truths and application. Becoming will empower and equip you to dream, discover, and ignite your own unique purpose. It will help you run your race with endurance and show up well as an ambassador of Christ, fully embracing your purpose as a legacy builder who will leave an imprint on the world for generations to come. "God, I need help with my love life!" Almost every single woman has cried out to God at some point and struggled with the questions, "When will I get married?" or "When will God's plan for my life begin?" The truth is, Jeremiah 29:11 says 'For I know the plans I have for you, plans to prosper you and not to harm you, plans to give you hope and a future,' nowhere does it say only after marriage! This is the lie that so many single women believe. Life beginning only after marriage was never God's intent for you. God actually longs to give you the desires of you heart and launch you into your purpose as a single woman! 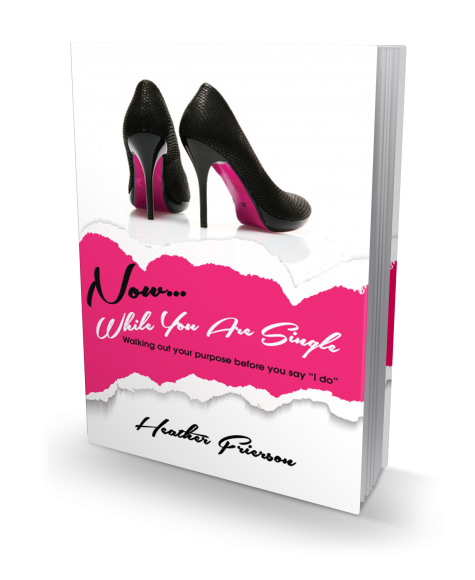 This book guides single women to reach their destiny by embarking on a journey of healing and building a solid foundation in Christ. Knowing who we are in Him launches new and refreshed dreams to be embraced even while waiting on God's promise for a husband. God yearns to peel away the layers of hurt, insecurity, doubt, pride, sin and procrastination so that a sweet aroma fills the air revealing the plans and purposes for your life right in the midst of your singleness! Once you realize God can and actually will use you while you're single, you begin asking the question, "Lord what can I do now while I am single?" Now, While You Are Single will lead women out of the waiting period straight into the here and now. So, don't procrastinate, instead begin the journey to find the story God wants to unfold in your life Now, While You Are Single!